We the undersigned bring to the kind attention of His Excellency the President and the government of Sri Lanka the need to consider, as a matter of highest priority, lifting the ban on the weed killer Glyphosate, in order to save Sri Lanka's agricultural sector from an unprecedented decline, until at least until such time that an alternative, equally safe and cost - effective weed control method is made available. Glyphosate is the most widely used weed killer in the world. In fact it is also the most widely used pesticide in the world. It is also one of the least toxic weedicides on the market. In Sri Lanka and in most other countries too, the quantity of glyphosate used far exceeds the total of all other pesticides. The total global use in 2014 was 850,000 metric tonnes. It is highly effective in the control of many noxious weeds, in particular perennial grasses and sedges which cannot be effectively controlled manually or mechanically. No other weed killer is as effective as glyphosate in this regard. Unfortunately the government banned the use of glyphosate in the North Central Province and some neighbouring districts afflicted by the chronic kidney disease of uncertain etiology (CKDu) in 2014, and then banned it in the entire country in 2015, in the mistaken belief that glyphosate has a role in causing CKDu. The subsequent ban has very seriously affected the production of all crops. 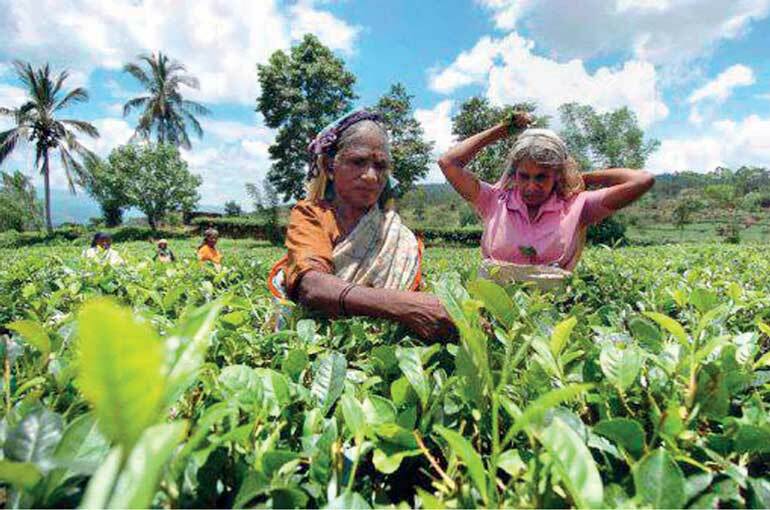 Of the plantation crops, tea is the most affected reducing the income of the industry by no less than Rs.14.5 billion. 1. The ban on glyphosate in Sri Lanka was probably instigated by a hypothesis published by a few Sri Lankan scientists that it may play a role in CKDu. However, this hypothesis has been refuted by many scientists, and no other research publication has endorsed it. 2. The WHO-Sri Lanka Report (2013) on CKDu did not implicate glyphosate in the aetiology of the disease. 3. Further, the WHO-Presidential Taskforce Joint International Consultation on CKDu (April 2016) with the participation of 54 local and international experts concluded that there is no evidence to implicate any agrochemical in the causation of the disease. There is thus no evidence to implicate glyphosate in the aetiology of CKDu. 4. Glyphosate is equally used in other areas of the dry zone with similar agricultural practices and in plantation and other crops in the wet and intermediate zones. No CKDu is reported in those regions. Given the above information, it is our firm conviction that glyphosate has no role in the causation of CKDu. 1. In the absence of an alternative effective weed killer, many tea plantations have been compelled to resort to physical weed control methods, especially using implements that disturb the soil causing serious soil erosion.. This practice, in the past, prior to the 1960s, that is, before chemical weed control methods were introduced, led to soil fertility losses leading even to the abandonment of tea lands , especially in the mid country. 2. Growth of weeds, apart from competing with crop and reducing yields, promotes insects and in turn rodents and snakes, making it risky and cumbersome for labourers to effectively work in the field. 3. In addition, weeding costs have increased by no less than 1,471 % and the overall cost of production by Rs. 25.75 causing serious concerns on the viability of the tea industry, particularly at this juncture when world tea prices have declined substantially and employees are demanding higher wages. As a result of increased costs of production, plucking of less productive fields of some plantations and a large number of smallholdings has been abandoned. The dire shortage of labour in plantations is making matters worse. 4. The cultivation of other plantation crops, in fact all crops, has been similarly affected. There already evidence of substantial (20-50%) decline in extents and production of field crops cultivated, which according to farmers is essentially due to non-availability of glyphosate..
We, therefore, urge the government to lift the ban on glyphosate. If the government so wishes, it could appoint a team of independent experts to review the ban by way of a risk- benefit analysis, as a matter of highest priority, and a decision taken based on its outcome. Although not a single case of toxicity to humans due to the use of glyphosate in Sri Lanka at rates applied for weed control has been reported, pesticides in general are being misused. Application in excess, non –use of protective gear during application, incorrect storage and disposal are common problems. The government must make every endeavour to ensure judicious pesticide use by strengthening farmer education and training through more effective extension programs. At the same time rules and regulations on all agrochemicals must be strengthened to ensure their safe use. We assert that we have no vested interests in the pesticide industry. Our genuine interest is only in the well being of agriculture and farmers of the country.